Sidecars and pisco sours all around. December 5th marks the 80th anniversary of Repeal Day, when the 18th Amendment was repealed, effectively ending Prohibition. But the spirit of Prohibition lives on in original recipes from pre-Prohibition distilleries and breweries that have survived to this day. 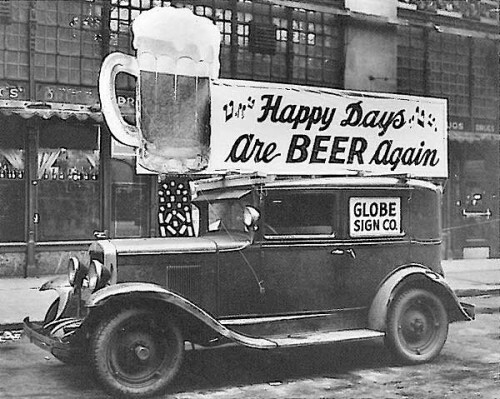 In celebration, we’ve gathered the best of pre-Prohibition style booze and beer. Wicked labels like Widow Jane and Ransom’s Old Tom aren’t just tasty, but strong, too (we’re talking 90 proof). These bottles are being distilled in the manner of the 1800s and early 1900s, often staying true to the exact pre-Prohibition recipe. Click through the gallery, then make yourself a Pre-prohibition cocktail to celebrate alcohol.